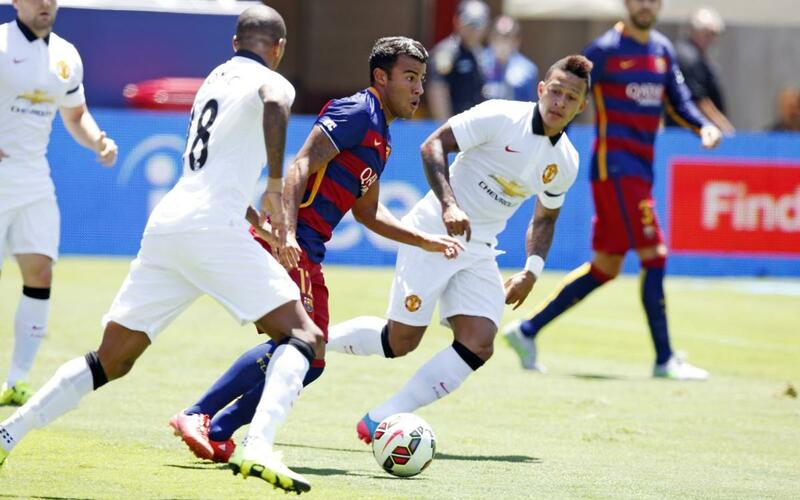 FC Barcelona and Manchester United are set to face each other once again in the summer United States tour. The pair have met frequently in past US tours: In Washington in 2011, the Red Devils came out on top in a 2-1 win for the English side, despite Thiago Alcántara's strike. His brother Rafinha scored a great goal against United in 2015 in Santa Clara, California, but Barça again came off second best in a 3-1 loss. The first meeting between the two came in 2003, when Sir Alex Ferguson's United beat Barça 3-1. In his first off-season with the club, Ronaldinho provided an assist to Patrick Kluivert who then dispatched with a header. Enjoy Barça's goals scored against Manchester United in the US. As it happens, Ronaldinho and Kluivert will take on Manchester United on Friday at the Camp Nou (7.00pm CET). Get your ticket and watch some of the club's biggest legends in action.